Terri Stuart is the Area Manager for the United Way Fort Bend Service Center where she serves as the community liaison for the United Way of Greater Houston in Fort Bend developing relationships with collaborating partners and agencies to increase awareness and promote United Way’s mission in action in the Fort Bend community. Why United Way? Who needs United Way? Come and listen to the big picture they are working on to transform individual lives as they bring systemic change to tough issues dealing with family financial stability and academic success and presents stats on the homeless population in Fort Bend. 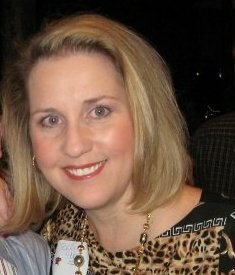 Terri has a Bachelor of Science in Psychology from the University of Houston with extensive experience in marketing and communications, fundraising, program development and finance with organizations such as the Catholic Charities, YMCA of Greater Houston, American Red Cross, Lupus Foundation, George Ranch Historical Park and Brazos Bend Financial Services.